Here is the official RustyBrick kippah - you know you want one. You can order one below or visit us to get one for free! Besides for many of the wonderful software applications we design for our clients, we also work on a nice set of Jewish software. From Jewish iPhone apps to Jewish Android apps and synagogue software to Jewish ad platforms - we are very devoted to the Jewish community. 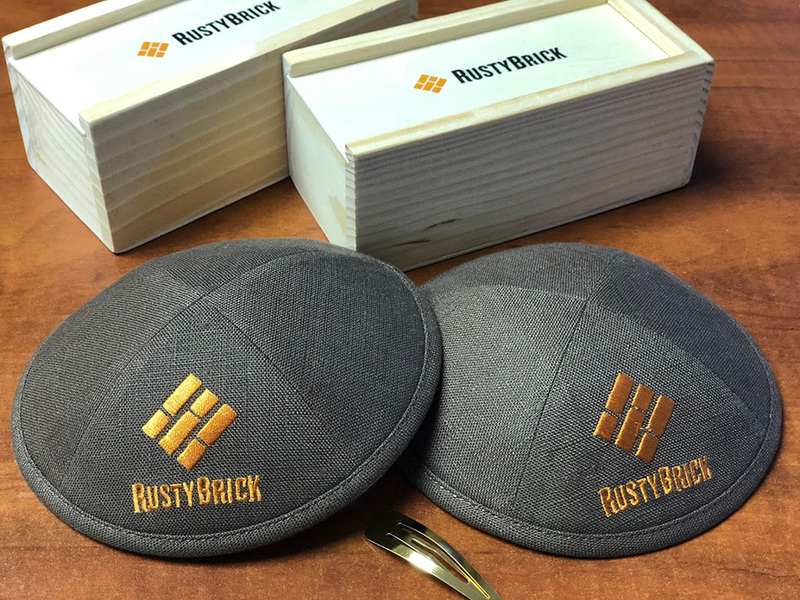 So we designed our very own RustyBrick kippah or yarmulke, customarily worn by Jews. Complete the form below, with your payment of $12 and we will ship you one to a US address only.